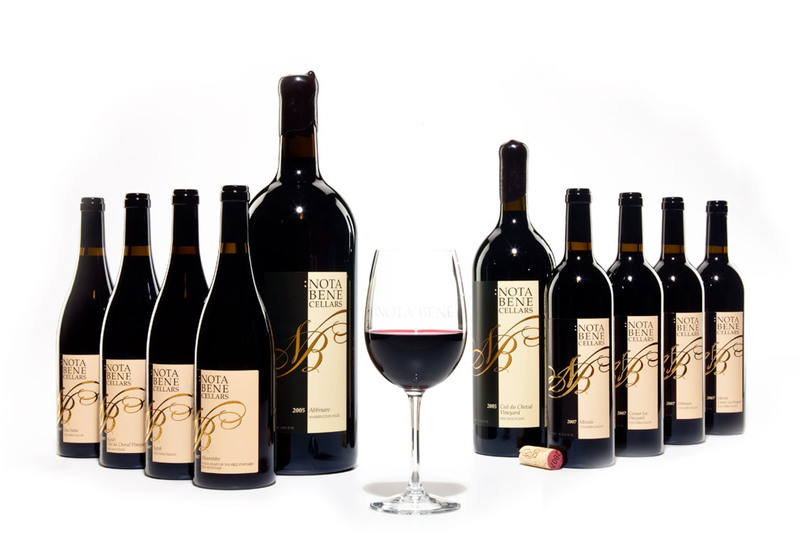 :Nota Bene Cellars is releasing their 2007 vintage wines and I recently photographed the entire lineup of bottles for them. they were especially interested is showing off their new label design and their large format bottles. The photos will be used on their website when it gets updated very soon. They had started out with just three different wines when I first photographed their wine a few years ago. It is good to see them growing bigger and bigger. Their wines are some of my favorite Washington State wine. Photographs by Seattle photographer Daniel Sheehan. He also runs a wedding photographer business named “A Beautiful Day Photography.” Explore the candid wedding photography there and see why he was named the best wedding photographers in Seattle by the WPJA. Go to Seattle Wedding Photography at A Beautiful Day Photography.To see editorial and corporate portrait photography go to Daniel Sheehan Photography at Seattle Photographers. This entry was posted on Tuesday, March 9th, 2010 at 10:12 am	and is filed under CORPORATE, FOOD, LIFE and tagged with Studio Photography, Wine. You can follow any responses to this entry through the RSS 2.0 feed.